At least 120 people are planning to file a lawsuit aimed at stopping the government from using taxpayer money for rituals to mark the enthronement of a new Emperor next year, members said Thursday. The citizens, including Buddhist monks and members of Christian groups, aim to file the suit with the Tokyo District Court in early December, claiming that funding what they deem as religious ceremonies out of public finances violates the constitutional principle of separation of religion and state. It is believed to be the first suit of its kind filed over Crown Prince Naruhito’s ascent to the Chrysanthemum Throne on May 1, a day after his father, Emperor Akihito, is set to abdicate as the first Japanese living monarch to do so in 200 years. Similar suits were filed against the state when the now 84-year-old Emperor was enthroned in November 1990 after his father, Hirohito, posthumously known as Emperor Showa, died in 1989. 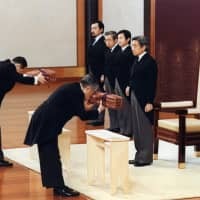 The government also plans to hold the enthronement ceremony for the 58-year-old elder son of Emperor Akihito as a state event on Oct. 22, 2019, and Daijosai (Grand Thanksgiving rite) as an Imperial event between Nov. 14 and 15, following the examples 30 years ago. The plaintiffs-to-be say the ceremonies are clearly religious as they use the three sacred emblems of the Imperial family and follow forms of Imperial Shinto. They expect more suits to follow. While all legal suits filed over the previous enthronement rites were rejected by courts, the Osaka High Court’s ruling in March 1995 said it cannot deny the suspicion that the practice violates the constitutional principle of separation of religion and state. 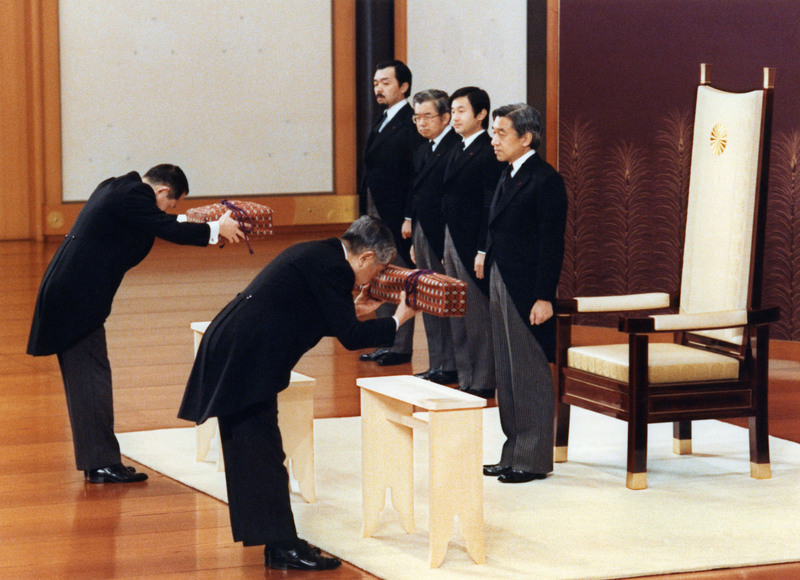 “The enthronement ceremony itself has numerous problems from the standpoint of the constitutional principle of separation of religion and state, and sovereignty of the people,” said Koichi Yokota, a Constitution expert and honorary professor at Kyushu University, citing a lack of sufficient constitutional reviews on the prewar era rituals. But he said the planned lawsuit is expected to face high hurdles as courts have always rejected suits filed over the constitutionality of the matter from the standpoint of taxpayers. In contrast, Isao Tokoro, a professor emeritus at Kyoto Sangyo University specializing in the history of the formation of Japanese laws, said how to fund the ceremonies was decided after thorough debate held upon the previous occasion, and that the process is constitutional. “The Constitution itself states the heredity of the Imperial throne, and I believe Japan should hold a ceremony and ritual for passing down that special status and role in a regal manner,” he said.